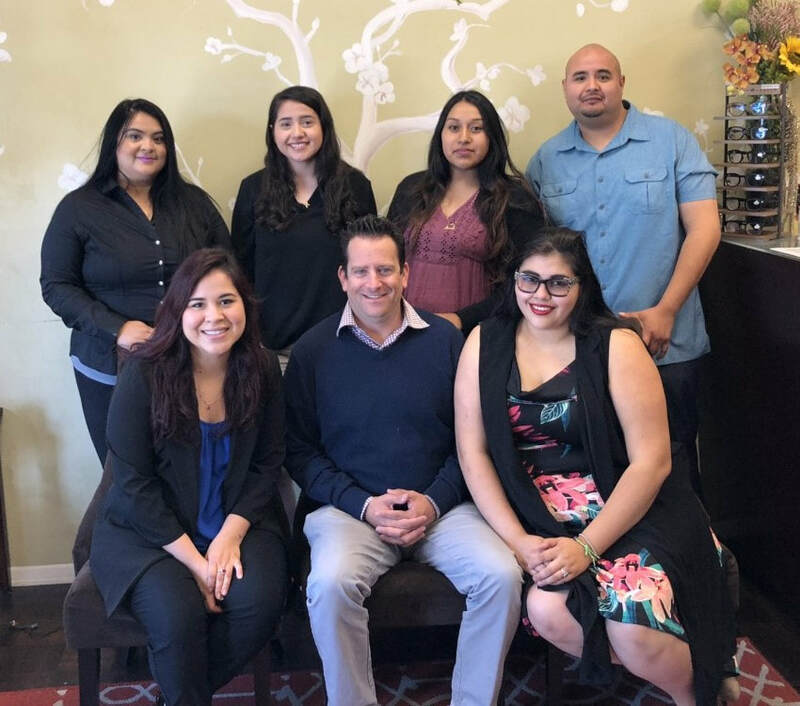 The staff at HODES VISION OPTOMETRY looks forward to helping you and your family with all of your eyecare needs! As the office manager of Hodes Vision Optometry since 2012, I am excited to welcome you to the most fun and energetic optometry office in Los Angeles!!!!! I love coming to work every day to help people with their visual needs and select optimal eye wear options for each patient's lifestyle. I manage the operations of the office, and love how even the little changes help the office run more efficiently allowing us to provide the best care possible to each patient. In my free time I enjoy adventures with my family and friends, hiking and rollerblading. A satisfied patient brings me much joy!!! I can't wait to help you see your best with our quality products and leading technology!!!! As the Patient Care Coordinator at Hodes Vision Optometry, I am usually the first face you will see when you come to the office. It is one of my priorities to make sure that you are comfortable being here and feel welcomed. I will help unsure your experience at our office is positive, enjoyable and efficient. I also assist the doctors with examining our pediatric patients. I am a detailed and patient individual who is keen on finding the glasses that are perfect for you!!! Whether you are looking for professional, casual, funky or tradition eye wear, I am excited to help you find exactly what you are looking for. My bubbly charm and unique frame descriptions will have you smiling from ear to ear!!! When I'm not at the office, I love spending time with my family. As the lead optician at Hodes Vision Optometry, I enjoy helping you pick out the latest in stylish eye wear. I get great satisfaction from helping people all day with frame selection, lens design choices and adjusting frames for that perfect fit. I also help with finding insurance benefits for our patients and billing insurance for your visit. I am always happy to answer any questions you may have about your medical or vision insurance. Outside of work I enjoy cooking, rollerblading, hiking and running. I am the friendly face you will see before seeing the doctor. I do the pretesting for the doctors and help maintain our patient flow. Once the doctor prescribes their recommendations, I help coordinate with the lab to start the production of your lenses. I also help with the scheduling in the office, so you may hear my friendly voice when you call!!! I enjoy spending time with my family and volunteering at my daughter's school when I am not at the office. I help out in several different areas at Hodes Vision Optometry. One of my priorities is posting fun photos and information on our social media platforms. I also manage the contact lens department to make sure trial contact lenses are in stock and available for our doctors to prescribe. You may also see me obtaining preliminary measurements for our doctors in the pre-test room. My favorite hobbies are scrap booking and rollerblading. As the lab manager at Hodes Vision Optometry, I analyze all the glasses to make sure they are the exact prescription that the doctor prescribed to ensure perfect vision, clarity and comfort. I also call you when your glasses or contact lenses are ready for pick up. I hope you enjoy my cheerful personality and polite demeanor. In my spare time I enjoy watching football (Go Rams!!!!) and trying the newest restaurants in town.